﻿ Mikel Arteta: "Cristiano Ronaldo was the only player better than Ozil in Real Madrid"
21.09.2013 » Arteta: "Ronaldo was the only player better than Ozil in Real Madrid"
While Mesut Ozil's transfer is still being slowly digested by many Real Madrid fans, Arsenal supporters were more than happy to welcome the German international at the club. Arteta is absolutely delighted to count with the 24-year old midfielder and said that there was no better player Arsenal could have signed from Real Madrid, except for Cristiano Ronaldo of course! It usually happens the other way around, but this summer it was Arsenal who signed one of Real Madrid's best players for the past few seasons. 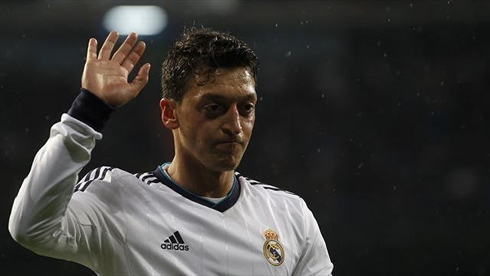 Mesut Ozil got transferred on a 50-million euros pound deal and the Merengues saw one of their most valuable assets leaving them with destination set for the English Premier League. The Gunners vice-captain Mikel Arteta has given voice to his contentment earlier this week and doesn't doubt that aside from Cristiano Ronaldo, Mesut Ozil was the best footballer Real Madrid had in their ranks. But how much will Real Madrid really miss Ozil now that they seem to have Isco living up to the expectations? A few years ago, Arsenal fans felt as if they had been knocked down when they heard the news about Cesc Fabregas leaving the club to sign for Barcelona, on a 35-million pound move. Roughly two years later, they just got their hopes being lifted up once more, with a surprising and unexpected signing of Real Madrid's number 10, Mesut Ozil. The German international felt he was losing his space in the team, especially after seeing Carlo Ancelotti giving Isco several consecutive opportunities to play as the team's main man in midfield. 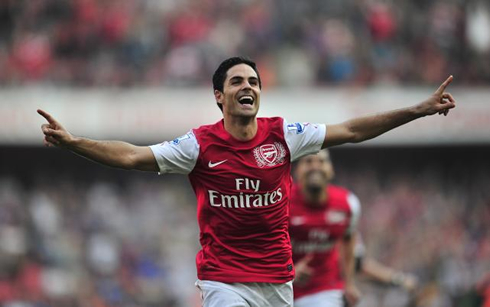 Arteta: "I was really happy to see him landing in London. 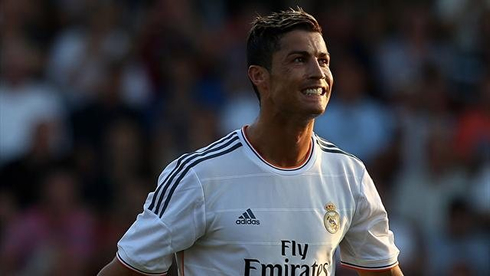 In my opinion, he was the best player technically wise that Real Madrid had, right after Cristiano Ronaldo. He is someone who already has tons of experience and I think he will turn out be a very important player for Arsenal in the years to come", commented the former Everton footballer. Mesut Ozil made his debut for Arsenal on September 14, in a match for the English Premier League against Sunderland. The German made an impact almost immediately, as he delivered an assist to Olivier Giroud with only 11 minutes played in the game. The Gunners would end up winning that away match by 1-3 and now they have the chance to go on top of the league is they win tomorrow. Arsenal vs Stoke City will start at 3PM in London, and Ozil is highly likely to feature on Arsene Wenger's line-up. However, this Sunday all eyes will be set at the Manchester City vs Manchester United live derby, that will be held at the "City of Manchester" stadium. None of the teams had the English Premier League start they have wished for, but a win tomorrow will surely give them an important boost for the weeks ahead. Right after this Manchester derby, Real Madrid vs Getafe will kickoff at the Santiago Bernabéu, as Cristiano Ronaldo, Gareth Bale and the rest of his teammates will look forward to cut distances to Barcelona in La Liga. Cristiano Ronaldo next game for Real Madrid will be in the Spanish League, this Sunday (September 22, 2013), against Getafe at the Santiago Bernabéu. In the meanwhile, you can watch Real Madrid vs Getafe, Barcelona vs Real Sociedad, Manchester City vs Manchester United and Arsenal vs Stoke, all matches provided from our soccer live section.